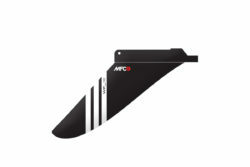 The K300 is the ultimate Wave Quad fin set. It was developed with Kauli Seadi in the last 3 winter seasons, and has been approved by our MFC team riders. 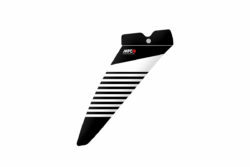 The straight leading edge entry gives you quick planing and has a very aggressive angle of attack for your upwind laps. 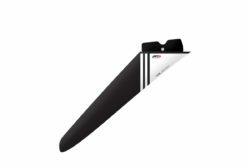 The extreme rake back from middle of the fin to the tip allows you to push hard on your turns and be tight and drivy off the top. The On-Shore performances are excellent due to the leading edge straight entry. 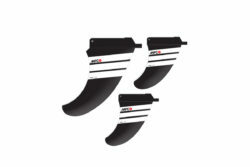 We have 1 side only for the Side fins in 9cm. This sides holds very high speed reducing the drag due to the thinner foil sections. The profiles of the front/sides are different than the centers/rear, ready to hold your board in position. This Quad set is built exclusively in Black G10 material.